Every year, summer rolls around with its unrelenting heat and humidity. 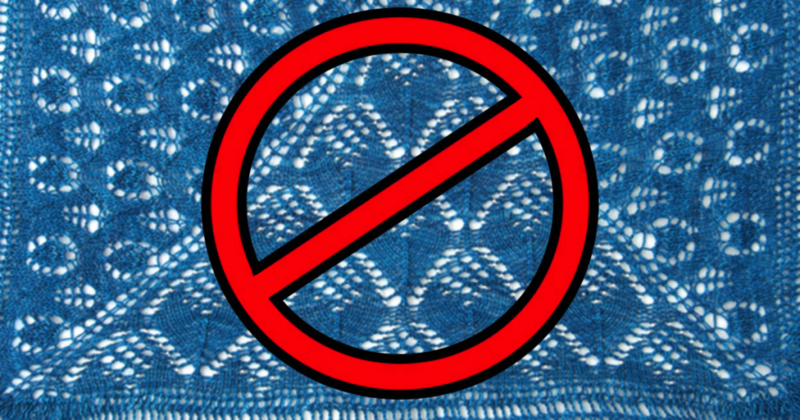 Knitting sites around the world put out their Top 5 lists for warm-weather knitting projects. These lists inevitably are crowded full of lace shawls, lace wraps, and lace scarves. “It’s so light and airy!” they’ll say. “Lace is the perfect project for hot weather!” But what if you’re not a lace knitter? Do you just have to choose between giving up knitting entirely in the summer or dying of heatstroke under a heap of wool? Of course not! 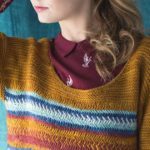 There are loads of laceweight sweaters out there for those of us who need a lightweight project that doesn’t require a complicated chart. Here are 5 laceweight sweaters with nary a yarnover in sight. Nothing says breezy summer top like a flutter sleeve! Short-rows are used to make the soft sleeve shaping. Waist shaping creates a feminine silhouette. This tee is worked with two strands of laceweight yarn held together to create a marled effect. Intarsia is used to create a bold, graphic lightning bolt that zig-zags up one side. No, wait, don’t leave—it’s not lace, I promise! The design on the shoulders is worked using dropped stitches to create an open, lacy (but not lace!) pattern. Side-to-side construction and dolman sleeves make this a unique top. With a fun garter-stitch yoke and a split hem, this tank is worked in pieces from the bottom up. Short-row shaping creates a distinct textural pattern on the back. This is one of my favorite styles to wear in the summer. 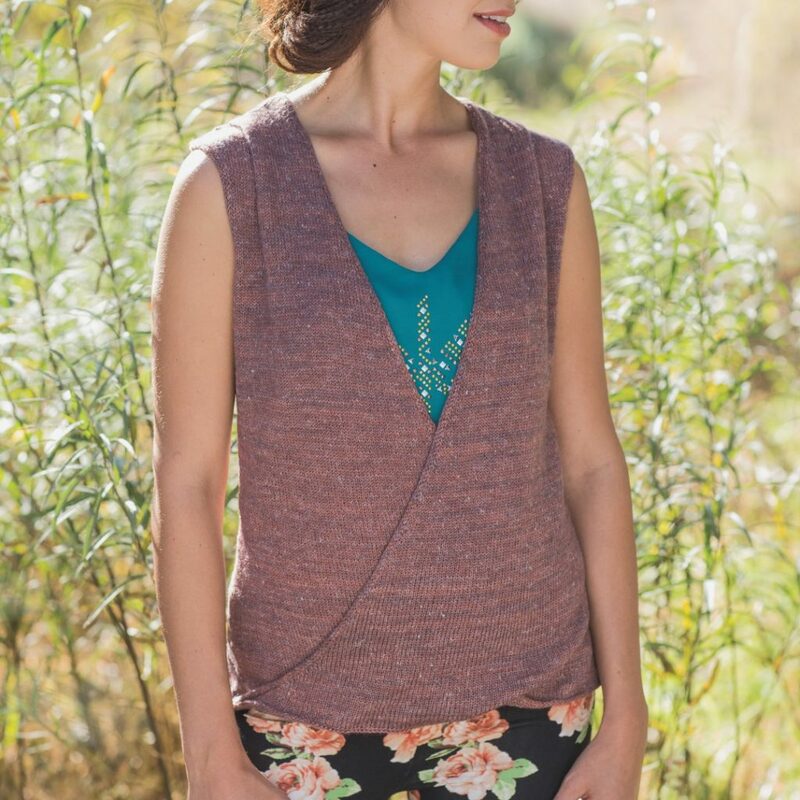 With an elegantly draped front, this tank works with a pair of capris for hitting up the farmer’s market, or wear it over a dress for a night on the town. 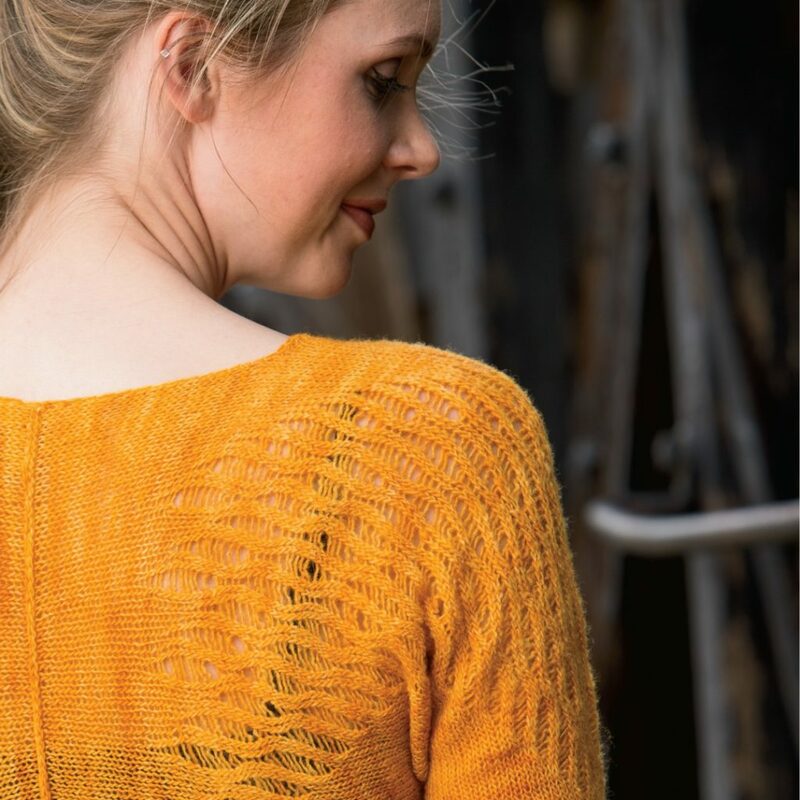 What’s your favorite unlacy laceweight sweater? Do we have laceweight sweaters? Yes, indeed we do!